Turkish police ‘end search’ for Jamal Khashoggi’s body – Royal Times of Nigeria. Turkish police are ending the search for Jamal Khashoggi’s body, but the criminal investigation into the Saudi journalist’s murder will continue. 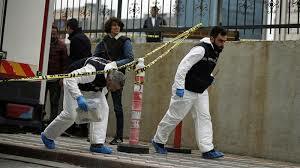 Report gathered on Friday that traces of acid were found at the Saudi consul general’s residence in Istanbul, where the body was believed to be disposed of with the use of chemicals. The residence is at walking distance from the Saudi consulate, where Khashoggi, a Washington Post columnist critical of the Saudi government and Crown Prince Mohammed bin Salman, was killed on October 2 by a team of Saudi officers and officials. Saudi Arabia attempted to cover up the killing by initially insisting that Khashoggi had left the consulate. It then changed its narrative, saying the journalist died in a fistfight. Later, Saudi Arabia admitted Khashoggi was killed in a premeditated murder, but that the killing was an unplanned “rogue operation”. Turkish and Saudi officials have carried out joint inspections of the consulate and the consul’s residence, but Turkish President Tayyip Erdogan said some Saudi officials were still trying to cover up the crime. Erdogan, who has repeatedly demanded more information from Saudi Arabia, has also asked Saudi officials to say who in Riyadh sent the 15-strong team that is suspected of the killing.